Selected List of Chinese Works Compiled by Xin Li Last Updated: May 4, 1998 BOOKS Soong, Irma Tam and Wei-tung Lin. Five Hsing Chung Hui Men of Valor. Taipei: Federation of Overseas Chinese Associations, 1989. Su, Teh-yung. “Mr. 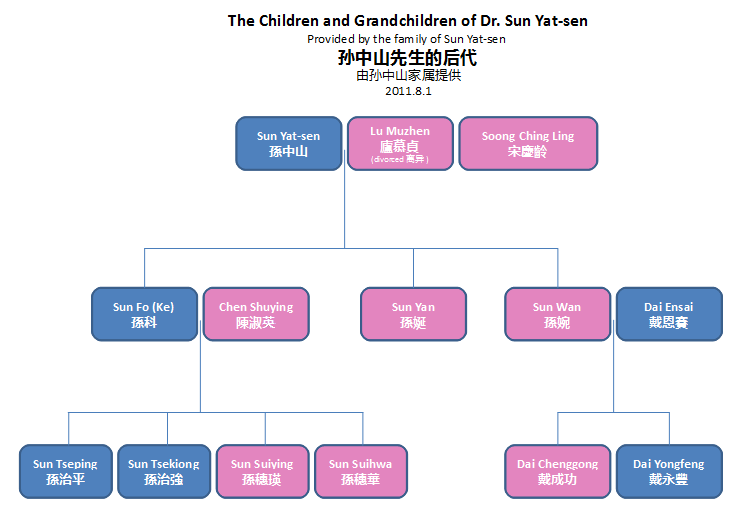 Sun Mei.” Notable Overseas Chinese. Taipei: Chinese Cultural Publishing Committee, 1955. Wu, Hsiang-hsiang. Biography of Dr. Sun Yat-sen. Taipei: Far East Publishing Co., 1981. Hang, Ting Yung. Dr. Sun Yat-sen’s Seven Visits to America and Hawaii. Taipei: China Publishing Co., 1982. Lo, Chuan-hua. The Chinese in Hawaii: A Bibliographic Survey. Taipei: China Printing Co., 1972. Wu, Chun-lieh. The Chinese of Hawaii…. Selected English Language Resources on Sun Yat-sen 1. Biographies of Sun Yat-sen Bergère, Marie-Claire. Sun Yat-sen. Stanford: Stanford University Press, 1998. Linebarger, Paul. Sun Yat-sen and the Chinese Republic. New York, 1925; reprint, New York, AMS Press, 1969. Sharman, Lyon. Sun Yat-sen, His Life and Its Meaning: A Critical Biography. Stanford, Ca. : Stanford University Press, 1968. Schiffrin, Harold Z. Sun Yat-sen and the Origins of the Chinese Revolution. Berkeley, Ca. : University of California Press, 1968. Schiffrin, Harold Z. Sun Yat-sen, His Life and Its Meaning: A Critical Biography. Stanford, Ca. : Stanford University Press, 1968. Soong, Irma Tam and Wei-tung Lin….